Ferndown Fete on the Field is an annual event that takes place on King George V Playing Fields in Ferndown. The event first started as part of the Ferndown Festival week along with the Pram Race in 2014. Since then the Fete on the Field has grown year on year and is now the stand alone summer event in Ferndown. In 2017 it reintroduced the Pram Race as one of the attractions on the day. Organised by the Rotary Club of Ferndown the day is pack full of entertainment and activities, with the Ferndown 5k and 10k runs, a classic car show, a dog show, fun fair, live music and more. Pulford Publicity has provided the Fete on the Field programme since 2015 and before that the programme for the Ferndown Festival and Pram Race (2013-14). 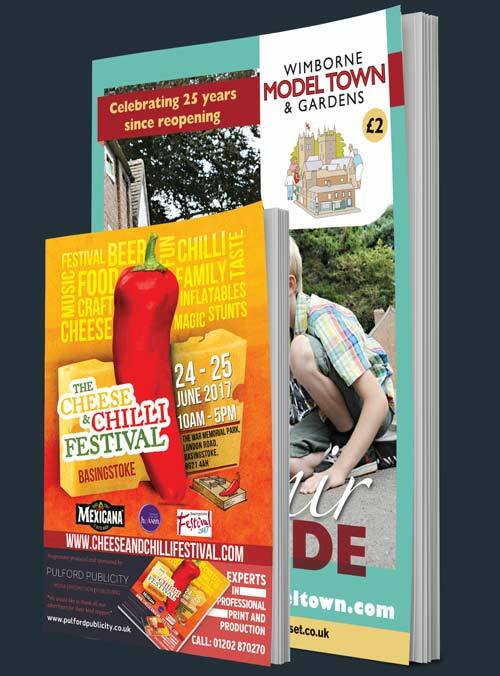 The programme is an essential guide to what’s happening on the day and has a full list of timings, event registration details and information on the attractions.